Adorable home in Sachems Head within walking distance to neighborhood lake and trail. Features include vaulted family room with fireplace, eat in kitchen with access to outdoor deck and fenced yard, first floor bedroom and full bath. Washer and dryer are conveniently located in hallway outside of bedroom. Second floor has two large bedrooms with a shared bathroom that has a gorgeous frameless shower with multiple shower heads, and a double vanity. Desk nook in hallway upstairs makes for an excellent office space. Interior is freshly painted, new roof in 2017, and new hybrid, energy saving water heater in 2012. Midlothian High School district and only minutes from I-288! Directions:Heading east on Lucks Lane, turn right onto Water Willow DR. House on the right. SchoolsClick map icons below to view information for schools near 1502 Water Willow Dr Midlothian, VA 23114. Home for sale at 1502 Water Willow Dr Midlothian, VA 23114. Description: The home at 1502 Water Willow Dr Midlothian, VA 23114 with the MLS Number 1903253 is currently listed at $230,000 and has been on the Midlothian market for 75 days. 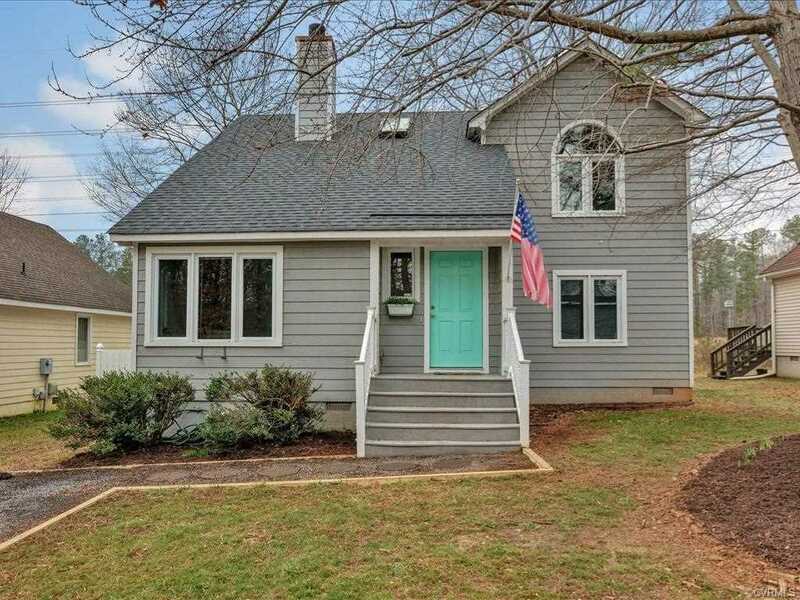 You are viewing the MLS property details of the home for sale at 1502 Water Willow Dr Midlothian, VA 23114, which is located in the Sachems Head subdivision, includes 3 bedrooms and 2 bathrooms, and has approximately 1516 sq.ft. of living area.